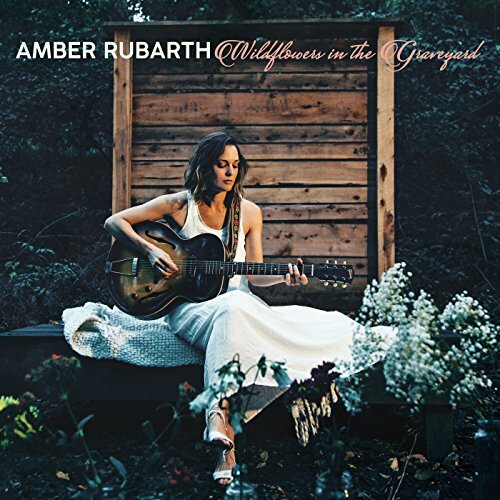 While other tracks from Amber Rubarth's Wildflowers in the Graveyard have struck me as both beautiful and personal, "Canyons Lines" is perhaps the best-written track on the album. It also is the one I least connect to naturally. The song speaks of lost love. Pertinently, how one wakes up alone when they once had not. Cause now all I can see are the water lines, how it used to be before it ran dry, and I try to believe the river will come again like it did back then. The way we treat one another. The dissolving of relationships. Our mistreatment of nature. All of these things are indications of how sin has derailed the created order in its attempt to subdue man. And what is the natural recourse of man? Adam and Eve hid from God. And then they blame one another. Esau kills his brother and complains to the Lord of his isolation. The derailed created order pulls people apart from the inside and eventually from one another. There is an ugly sense in which we recursively curl in upon ourselves. And the temptation to become secluded against the course of nature can "become your only friend:"
I’m trying so hard not to disappear again into the canyon walls so steep, where water cuts the stone like you’d never believe and the echoes become your only friends. Isolation is now man's "natural" path. Isolation from God, friends, and eventually even self. Who hasn't felt like they were a shell of some better self? It's not even our own voice that becomes our friend, but echoes. Echoes of things spoken prior and past. Long since gone. This is the unresolved tension of our experience. This is the "groan inwardly" that Paul describes.